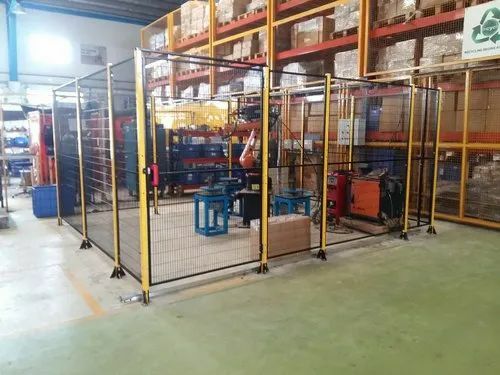 Aphorism Engineering Private Limited is the leading machinery guarding specialist, offering a comprehensive service to survey, design, manufacture and install machine guards nationwide, whether the requirement is for close-fitting guards, perimeter guards or a combination of both. With unrivaled knowledge of the applicable standards, as well as a deep understanding of the ergonomic issues relating to machine guarding, Aphorism can design guards that meet all the necessary safety standards, do not hinder production, and enhance the machine’s aesthetics. Aphorism Engineering Private Limited guarding has facility to make customized. It will be designed on CAD software. The design will give the idea about selection and Hazard mitigation, even it helps in assembly. The Aphorism Engineering Private Limited guarding is easy to install, light in weight. Aphorism Engineering Private Limited was commenced in the year 2018, with an affirmation to manufacturing a high-quality range of Industrial Safety Machine Guarding and Remote Control System. Offered products range consists of Industrial Safety Machine Guarding, Tower Light, and Safety Bollard. In adding to this, our range of products is renowned for precision attributes like high performance, long service life, and low cost.